While nanocellulose leads the race for the coveted title of ‘supermaterial’, scientists are developing other nanomaterials that can potentially change the game in the vast ambit of the medical field. To that end, a duo of researchers Ravi Saraf and Chieu Van Nguyen at the Nebraska Center for Materials and Nanoscience (a science department of University of Nebraska), has come up with an advanced electronic skin that will have the wondrous ability to effectively detect early stages of breast cancer. 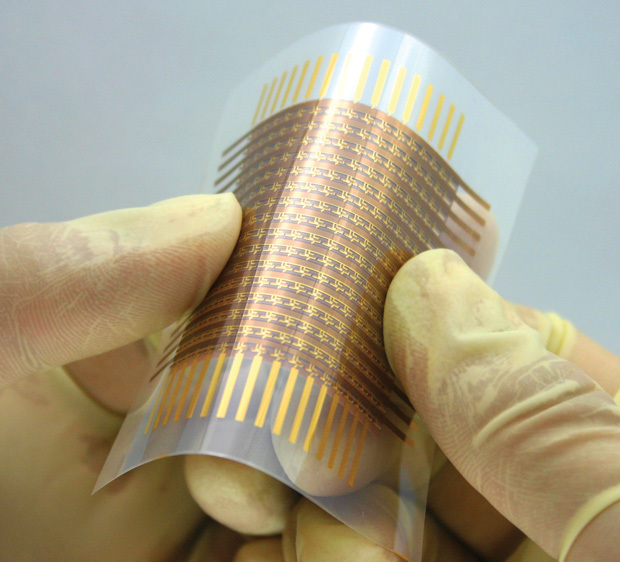 The electronic skin can be perceived as a tactile device film that has the capacity to measure the pressure registered upon it by an object, with the gauging directly proportional to the contortion of the thin-film. 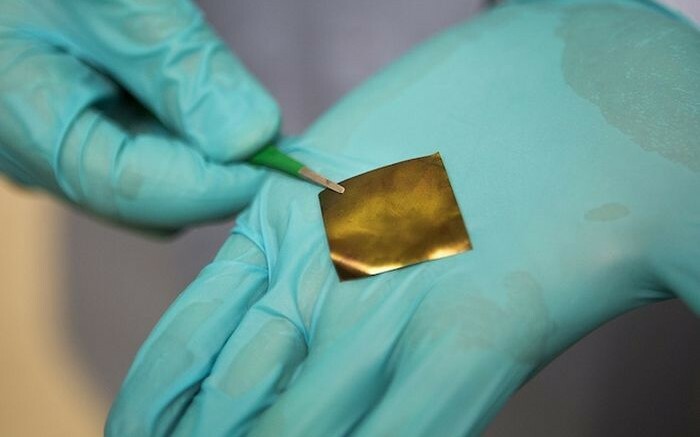 In this case, the researchers were able to construct such a tactile device film with a composite of 9 layers of polymers, 3 layers of 10 nm gold nanoparticles and 2 layers of 3 nm cadmium sulfide nanoparticles. The multiple layered coating was accumulated in a special substrate of indium-tin oxide (ITO) glass. So the stage was set – with ITO acting as one of the electrodes, while aluminium was used as the other electrode material. The scientists immediately went into the testing phase, by simulating human mammary glands with a silicone piece, and replicating the lump with a 5 mm tiny object being pressed 20 mm (deep) into this silicone piece. The results were favorable to say the least, with the constructed electronic skin showing its precision in successfully detecting the small object. In fact, this lab-driven technique is substantially more effective than conventional clinical breast exams – in which even lumps as large as 21 mm are often not detected. When translated to solid figures, this can account for an improvement in patient survival rate by an impressive 94 percent. The best part is – such advanced electronic skins can also be potentially utilized as inexpensive yet efficient alternate solutions to costly procedures like MRI. Moreover, the usability factor is broader in scope, with the lab-grown tactile film’s ‘collective’ capacity to detect other forms of cancerous growths.